Here in Rotorua, we don’t use winter as an excuse to hibernate. Being surrounded by so much natural beauty – and fun ways to experience it – means we simply rug up warm, and get amongst it! We’ve put together our top picks for 3 Rotorua winter events and our own awesome event, that will help inspire you to get out & about during NZ’s cooler months. This event happened a few weeks ago, but it’s definitely one to put on your calendar for next year! 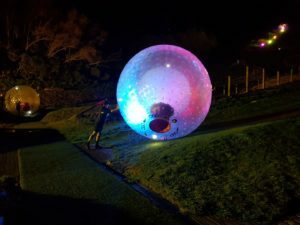 Available for one night only, we hosted our first ever night time downhill ball rolling event, OGLOW on the 21st of June. In celebration of the Winter Solstice – the longest night and shortest day of the year – and Matariki, our entire OGO site was illuminated up with a specialised lighting set up and the array of lights and colours could be seen from all around Rotorua. Adding to the electric atmosphere on the night, we had our friends from the Terrace Kitchen onsite providing a range of delicious hot food and bar facilities. Over 180 keen OGO riders braved the winter cold and enjoyed our three awesome OGO tracks on offer. There were families of all ages, groups of friends and different social clubs enjoying our first ever night time ball rolling event. To cope with the cooler weather, our three hot tubs were cranked right up, the pot belly fire on the deck was roaring away and there were plenty of blankets on offer to keep everyone toasty warm. When it comes to winter events in Rotorua, this one is a must-do – pencil it into your diary for 2019! We Run the Forest is an event put together by our friends at Nduro Events. Fun for the whole family, We Run the Forest is held in the world-famous Redwood Forest. Competitors are encouraged to wear their brightest clothing as they take part in the 5.5km or 11km run or walk. There is also a 21km trail for those that are a little bit more adventurous. Why should winter stop you from getting out and about with the family and having a whole lot of fun! Read more about We Run the Forest here. An iconic event in the Rotorua Winter calendar, the Tough Guy and Gal challenge at Lakes Ranch has been running for 16 years. Take on the 6km challenging course including swamp crossings, crawling under barb wire, a climbing frame, native bush trails, steep rope climbing and a whole lot of mud! The extra spirited can sign up to the 12km and do a second lap all over again! 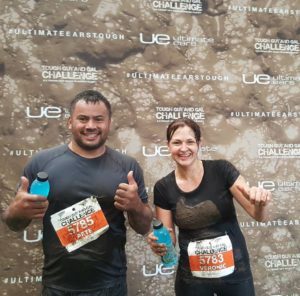 There is also the Junior and Secondary Schools challenge with a tailor-made course to get school students involved in New Zealand’s biggest mud run series. To register for the Tough Guy & Gal Challenge click here. Another great event brought to you by our friends at NDuro, the Winter Mountain bike series is back for another year! 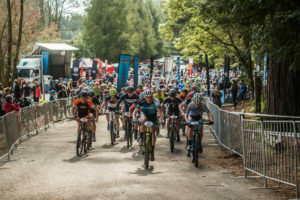 Scheduled over three different dates this winter, the Winter MTB series is known as one of New Zealand’s greatest cross-country mountain bike events. Perfect for all abilities, this is a Mountain Bike event that is not to be missed! 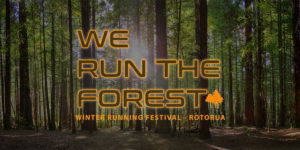 Find out more about this great Rotorua winter event here!